Humans have had to face death and mortality since since the beginning of time, but our experience of the dying process has changed dramatically in recent history. Haider Warraich, a fellow in cardiology at Duke University Medical Center, tells Fresh Air's Terry Gross that death used to be sudden, unexpected and relatively swift — the result of a violent cause, or perhaps an infection. 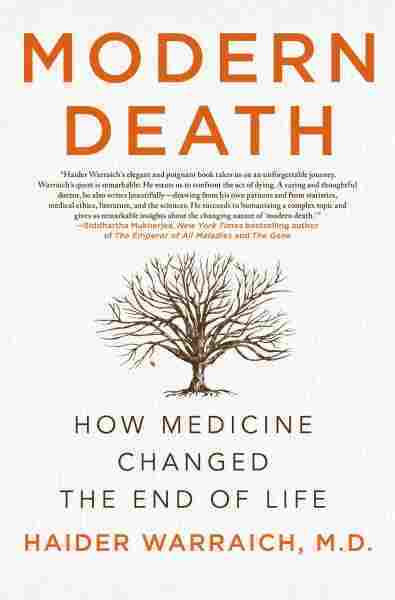 But, he says, modern medicines and medical technologies have lead to a "dramatic extension" of life — and a more prolonged dying processes. 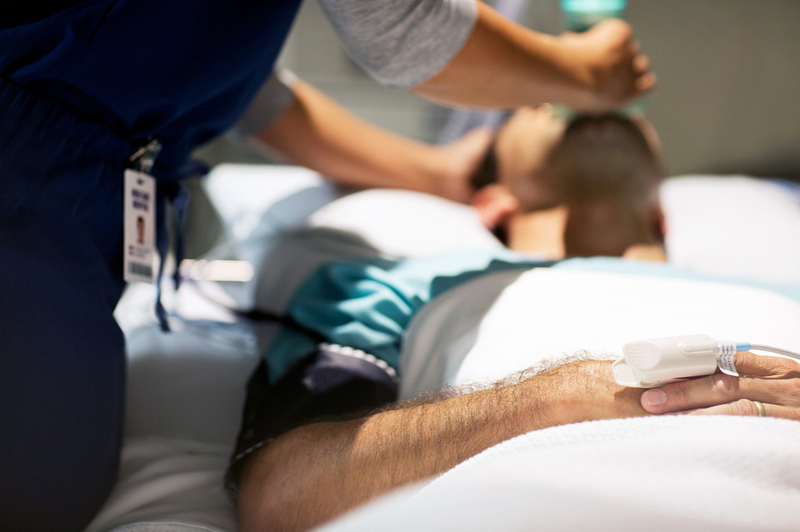 "We've now ... introduced a phase of our life, which can be considered as 'dying,' in which patients have terminal diseases in which they are in and out of the hospital, they are dependent in nursing homes," Warraich says. "That is something that is a very, very recent development in our history as a species." Prolonging life might sound like a good thing, but Warraich notes that medical technologies often force patients, their loved ones and their doctors to make difficult, painful decisions. In his new book, Modern Death, he writes about a patient with end-stage dementia who screamed "kill me" as a feeding tube was inserted into his nose. "This is probably one of the encounters that I had in residency that I have been unable to shake from my memory," Warraich says. "I think if you ask any physician, any nurse, any paramedic, they'll have many such stories to tell you." One of the biggest problems that we face in not only modern society, but in societies of olden times as well, is that people have always been very afraid to talk about death. In many cultures it is considered bad luck to talk about death and it is thought to be a bad omen. I think to some extent that extends to this very day. But ... I think having a living will, having an advanced directive, or perhaps most importantly, having a designated healthcare proxy, someone who can help transmit your decisions to the team when you're not able to do so, is perhaps the most important thing that we can do for ourselves as patients and as human beings. At the same time while this CPR was ongoing, the patient's family member, her daughter, was outside the room, and she was crying. ... Even though we could give her all the information ... that wasn't perhaps what she was looking for, because what we were asking her to think about or to do was one of the hardest things anyone has to ever bear, which was, "Do you want us to stop CPR?" And that's the type of thing that I don't think any of us can ever prepare for, especially when it's our parent that's involved. So many times I've found myself in the room where there are people who were so much more experienced in life than I was, yet knew so little about death and dying. And so I wanted to write a book so that people could go into those really, really difficult places and feel like they're armed with information, that this isn't a completely foreign territory for them and that in some way could help them navigate and deal with the sort of difficult situations that lay ahead for them. It is very unfortunate that health is so politicized in this country, because it doesn't have to be. Health and wellness aren't red or blue, and they shouldn't be, but unfortunately that is where we are. I hope that when policies are being enacted in DC, patient's voices, those who have benefited from the ACA, those who have gained insurance, those voices are not lost in the midst of all of this political activity. Dr. Haider Warraich has written medical and opinion pieces for The New York Times, The Wall Street Journal and The Atlantic. I came to the United States in 2010 and [until now] have only lived in an America in which Barack Obama was the president. I think in some ways Trump's victory has really shaken me, because of how invested I was in the idea that America is a special place, it's a truly multicultural society. And I'm still trying to understand, I think like so many others, just exactly what happened. Especially as a writer and as a physician I've tried to separate myself from my identity as a Muslim. 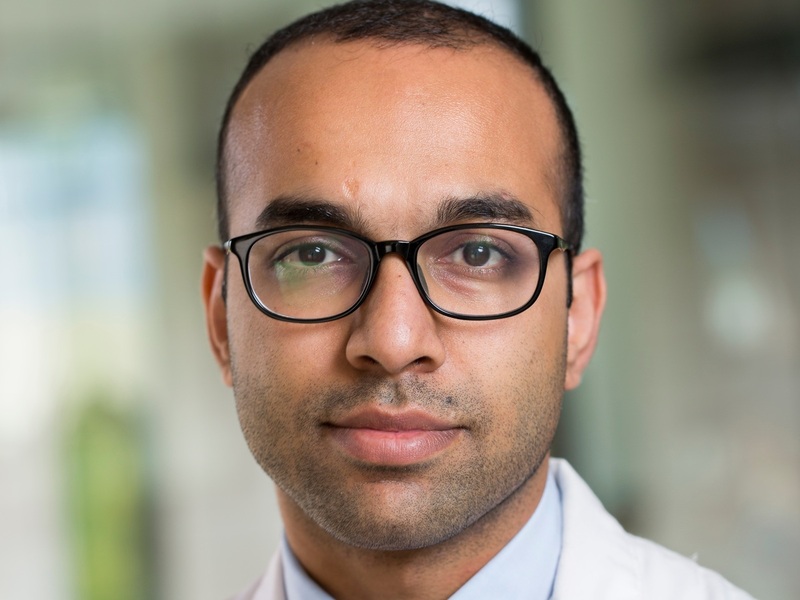 I'd rather be known as a physician/scientist/writer who happens to be Pakistani, rather than a young Pakistani Muslim immigrant who happens to be a doctor and a writer, but I don't know. Given how things are changing, I'm not even sure if I'll be able to set that narrative for myself. That's a scary thought — to live an identity that is so politicized even when you wish for it to not be.